WTB: Slingshot promotional documents (catalog, pamphlets, etc). WTB: Bicycling! Issues Oct 1969 and Jan 1973. Touring gear range - with a 42*23 low. I'm obviously not cut from the same cloth. 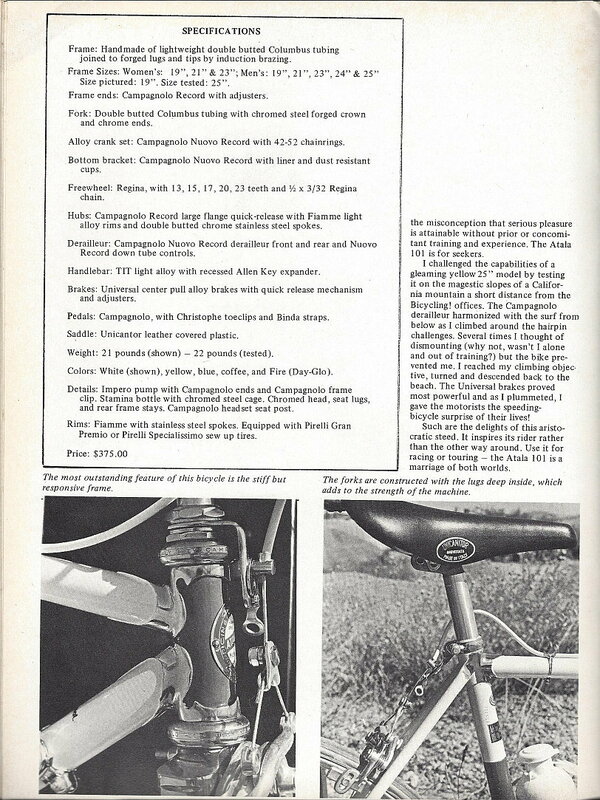 This bike was on my short list when this was written. 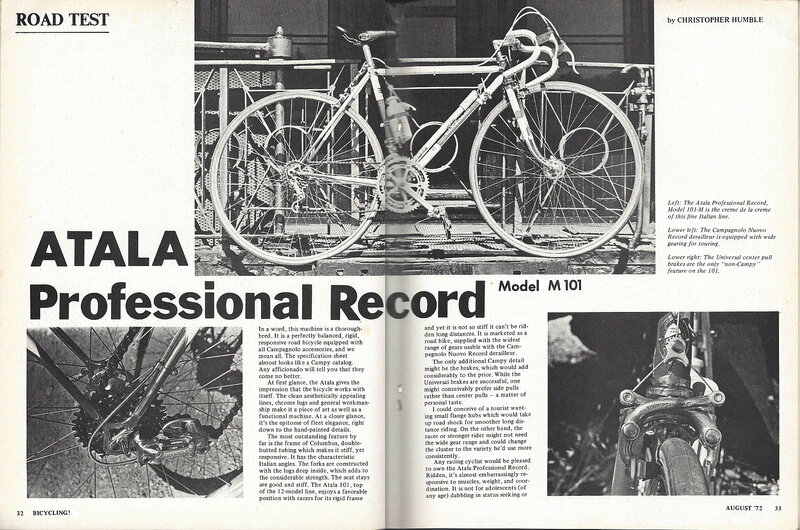 Back in the 70's I cant remember seeing an Atala Pro road bike. Atala track bikes were around, saw those. I didn't know that they were using induction brazing at that time. For a production bicycle, that is probably the best way to build a frame. Nice bike BTW. A teacher at our high school had this model and toured on it. In fact he took a group of us down the Natchez Trace Parkway one year. Spent a week riding it and had the time of our lives.